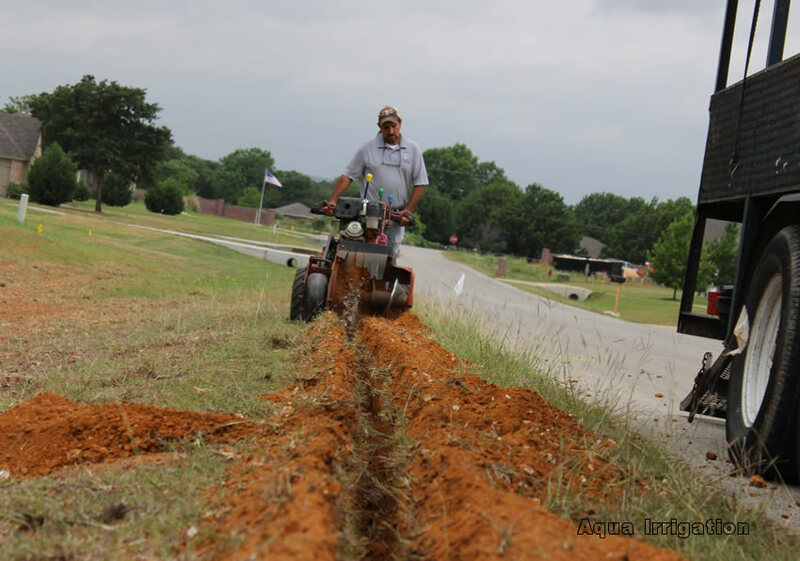 Lawn Sprinkler Installation, Sprinkler Repair, French Drains for Mansfield, Fort Worth, Arlington, Grand Prairie, Weatherford and surrounding area. 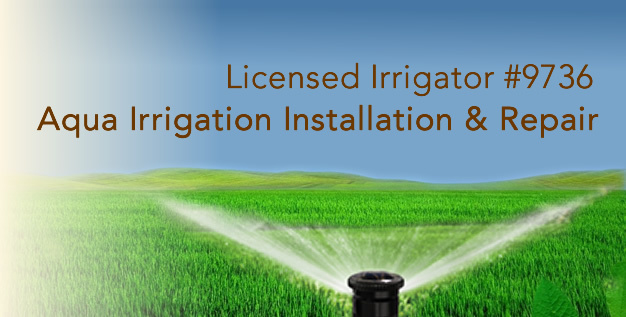 We offer over 25 years of Sprinkler System expertise. 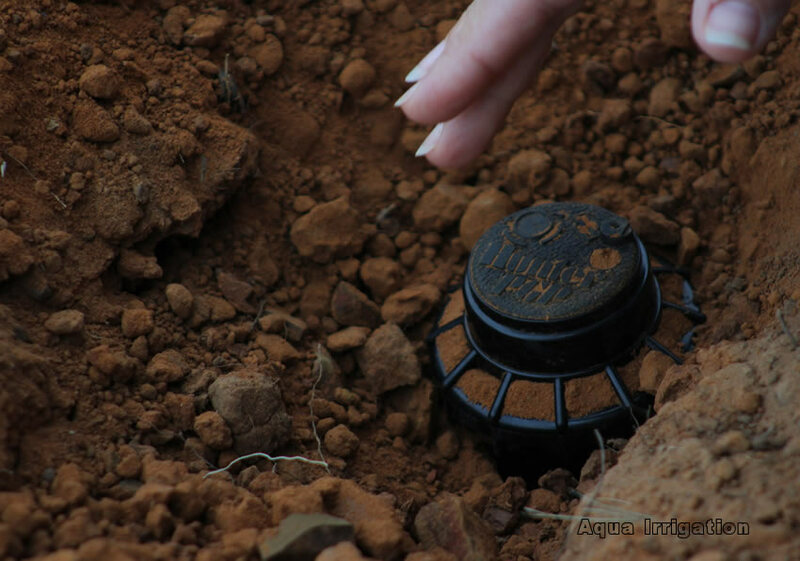 Our commercial grade sprinkler equipment carries the name Hunter. 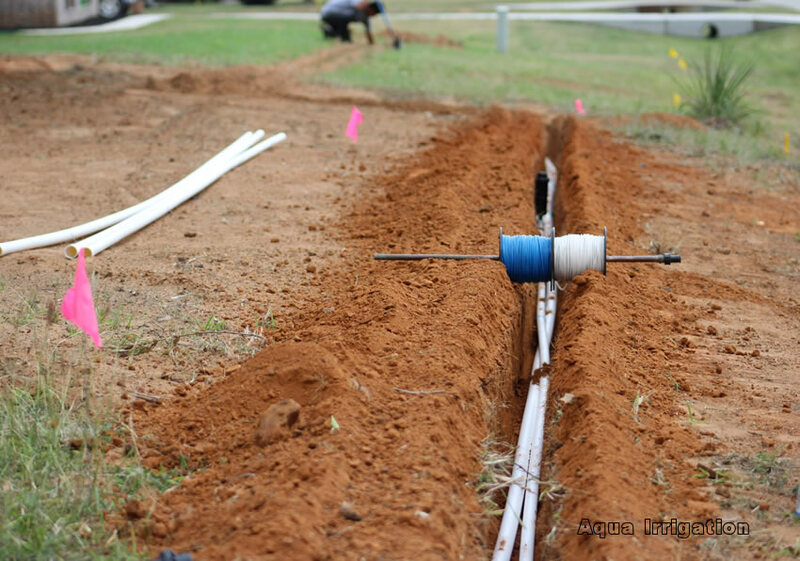 Our lawn professionals are skilled with entire process including trenching, Piping/PVC re-enforcement and digital zone components. 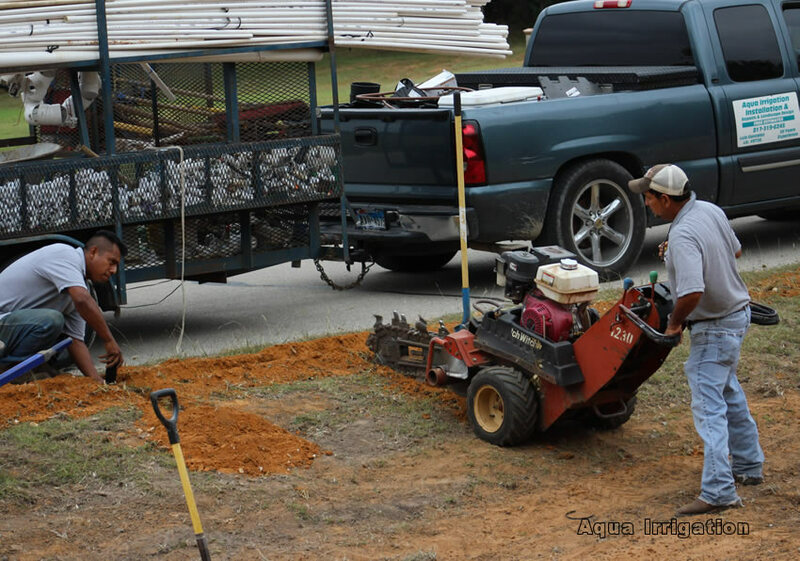 Our process includes an evaluation of flowerbeds, irrigation fall-out and drainage concerns. 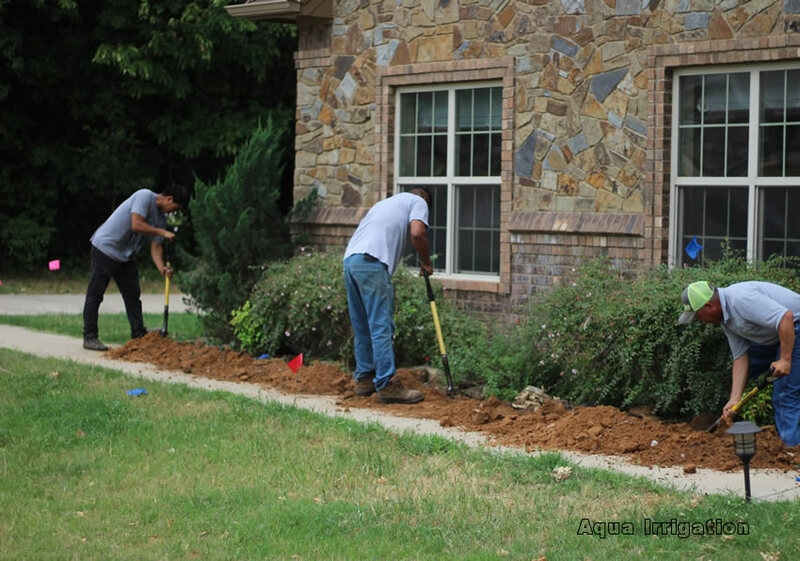 Our skill offers home owners the advantages of knowing their system inside and out. 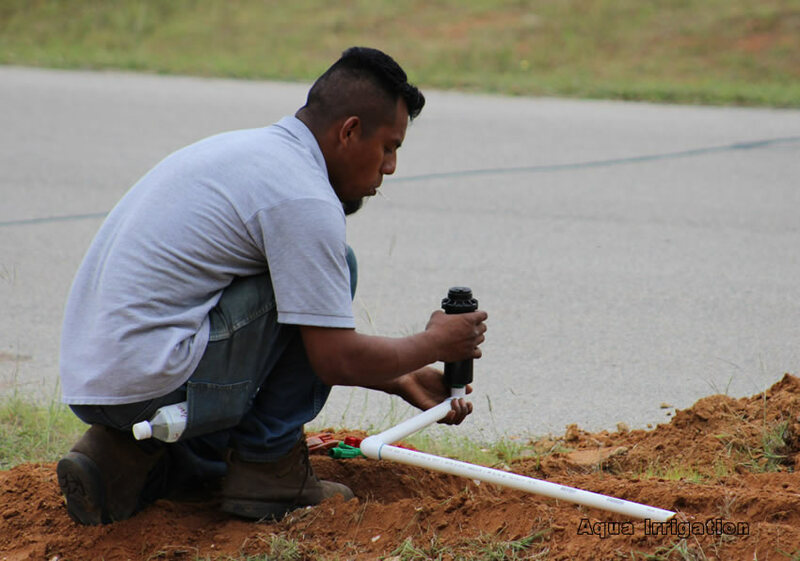 Our lawn, sprinkler and drainage services include sprinkler installation, maintenance, repair and French Drain Installation. 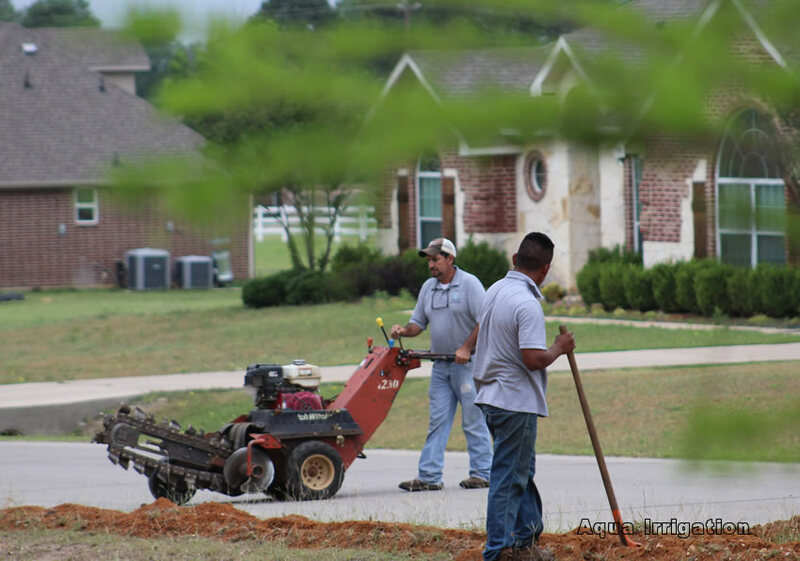 Our service area includes the Fort Worth Metroplex area and surrounding cities including Cleburne, Mansfield, Burleson, Arlington, Fort Worth and Weatherford.